With the Directferries.com Ferries to Phuket Island guide get all the information you need to plan and book your ferry crossing. 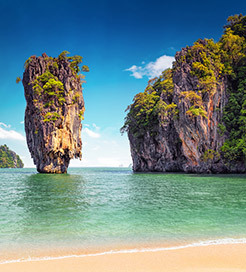 We have all options to Phuket Island covered with a large choice of crossings from the shortest and cheapest to the longest and most luxurious. Find ferry timetables and prices for your ferry crossing to Phuket Island by selecting your preferred route from the fare search, number of passengers, and then click search. For more information, please visit our Ferries from Thailand to Phuket Island page. For more information, please visit our Ferries from Phi Phi Island to Phuket Island page. For more information, please visit our Ferries from Langkawi Island to Phuket Island page. For more information, please visit our Ferries from Langkawi to Phuket Island page.